At a guess – how many pictures? 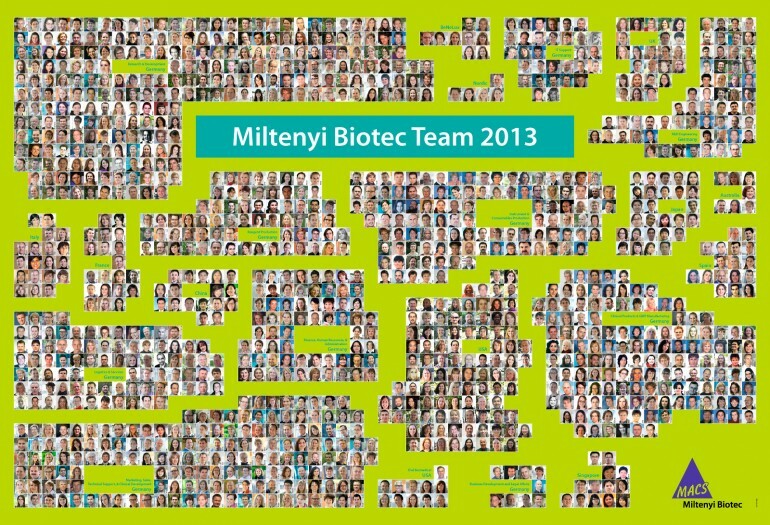 The 2013 people poster shows (not all but) many employees of Miltenyi Biotec. Each one is named beside the picture. I have had documents with many links in the past, catalogs for example, but not as much on one page. The poster is 2.20m (app. 87 inches) wide, the portrait version 1.54m high (app. 61 inch). And – how many pictures, portraits are embedded? In Indesign 1242 pictures are linked. It looks much less, doesn’t it?